1st Half Season Grade for the Warriors? B+. There have been struggles from essentially every single person all the way from Stephen Curry to Kevon Looney. 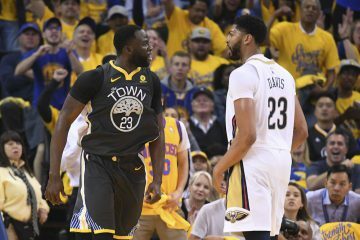 Steve Kerr has admitted he has at times lost the voice in the locker room and the players themselves can’t seem to get up to play even the Oklahoma City Thunder and Houston Rockets. But overall, the team is as healthy as it can get coming down the stretch run. Given what we know this team is capable of, that should good enough for a B+ grade. B. On the plus side, they have managed minutes and health as well as possible. On the minus side, the effort level has been inconsistent and unlike the Warrior teams we’ve seen the last 3 years. Overall it’s hard to go below a B because they still have the 2nd best record. That said team is fine with a first half B as they know their overall grade will be based almost 100% on the final exam. B. Heading into the All-Star Break without the best record and top seed probably felt strange to most Warriors fans. Steve Kerr teams rarely stumble, but when they do they normally return at an even higher level. That’s the hope fans (and the team itself) are counting on as they finally see a team above them in the standings. The goal isn’t just trying to stay healthy, limit turnovers or feel good heading into the playoffs. It now includes finishing above another team, a Houston team dying to kill playoff narratives and is literally built to stop the Dubs. 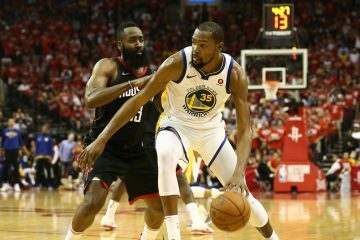 They’ve casually waltzed into a 44-14 record, but pressure from themselves and the Rockets should have them finally playing like the Warriors we’ve come to love as the regular season comes to a close. Who was the MVP for the Warriors in the first half of the season? Kevin Durant. 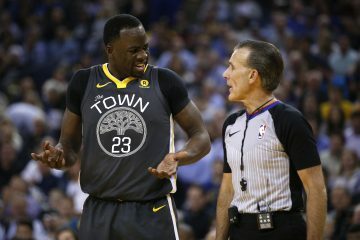 He allowed a beat-down Steph to rest and has been the constant scorer and defender a Warriors team dragging to the All-Star break has needed. 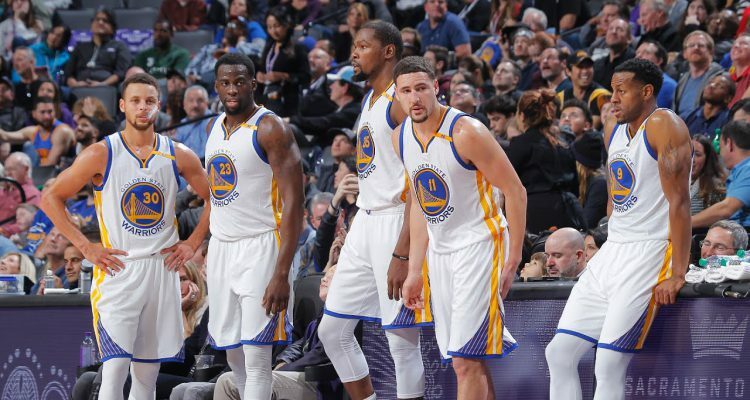 It makes you think just how much gas the Warriors would have left if they hadn’t signed KD. Would a 3-4 seed be in play? 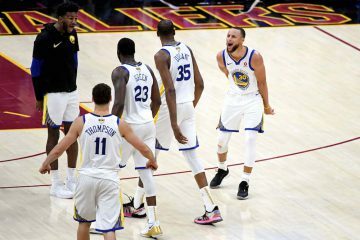 Steph is still the most important player on the team but you are seeing how the Warriors envision building on this dynasty by having a 44-win first half be the floor of their overall talents. KD. He carried the load when Steph went down and filled the gaps when Steph came back. While his defensive effort has left much to be desired the last 15 or so games, overall he’s been the Warriors best defensive player this season and contributed at a high level in just about every way needed. Kevin Durant. Despite his lack of defensive intensity in 2018, he’s been by far the most consistent Warrior this first half. When Steph went down, KD picked up the slack. The DPOY talk was probably premature, but with a strong late run and help from his highly capable teammates, it could creep back. KD is the definition of steady, and he reminded the world what he’s capable of doing probably every single night if he had a team to himself: make 50 points look easy. Steph will always be the most important player on this team, as his performances more than anyone determine if the team wins or loses. However, KD is the needed calming force that keeps the Warriors from truly falling apart. Can the team finally flip that switch and have everyone hitting on all cylinders? That remains to be seen. What’s your biggest concern for the second half of the season? Will Andre Iguodala make 3 or a layup first? Health. If this team does become vulnerable in the playoffs, it’ll be because key players are banged up or all together out of the lineup. Health. The biggest obstacle stopping from the Warriors isn’t the Rockets or Zaza’s inability to make layups, but whether they can stay healthy enough to compete at a championship level. Any significant injury now would result in not only the loss of the top seed, but any chance of another title run. Can someone on the bench provide anything close to consistent scoring?… Anyone? What is your 1-8 playoff prediction in West?